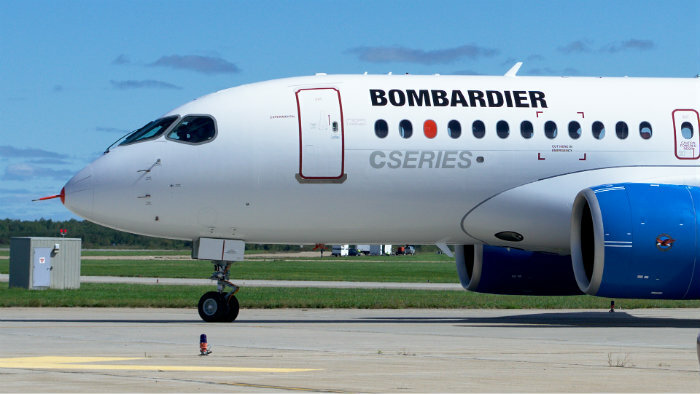 The U.S. Commerce Department finalized tariffs of nearly 300% against Canadian plane maker Bombardier last week. “The United States is committed to a free, fair, and reciprocal trade and will always stand up for American workers and companies being harmed by unfair imports,” U.S. Commerce Secretary Wilbur Ross said in a statement regarding the decision, which upheld earlier findings by the department. The tariffs, however, will only go into effect if they are upheld by the U.S. International Trade Court. Trump and his sidekick Wilbur have no appreciation for the value of free trade, even unilateral free trade. The tariff simply makes it more expensive for US corporations to acquire product at cheaper prices. the MIC doesn't give two hoots about that. the Message here is "you buy from us or else"
Bombardier very well anticipated this theft (tax) hike--- signing an agreement with Airbus to allow manufacturing in Mobile, Alabama. I can't wait to fly on one of those over the 737 that it competes with. The United States is commited to free trade unless imports are unfair. Trumpistas clearly lack any sense of BASIC LOGIC. Doesn't that describe most believers in the state?